Charming shoreline cabin right on the rocks. Two bedrooms: one queen in an exquisite full log “gazebo” with vaulted ceiling and stunning views, second bedroom with one full and one twin bed. 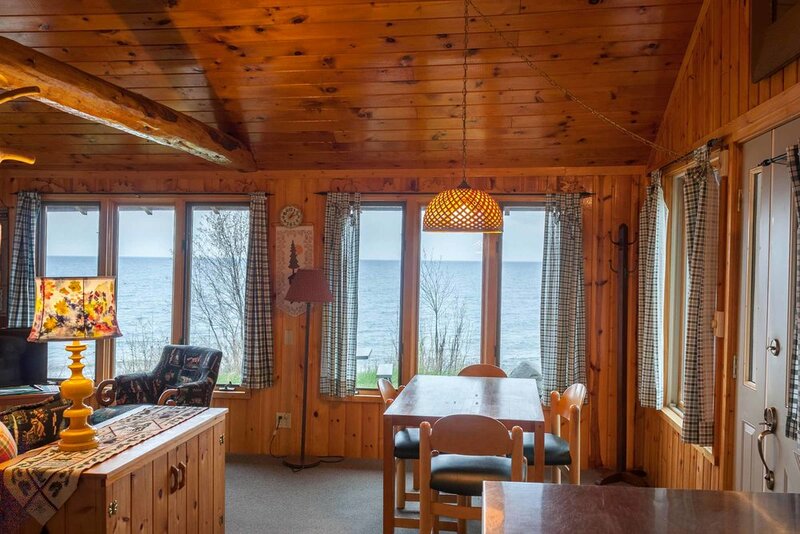 Full kitchen, dining area and cozy living room with spectacular lake views. Secluded deck, and very private location. East photo gallery below.